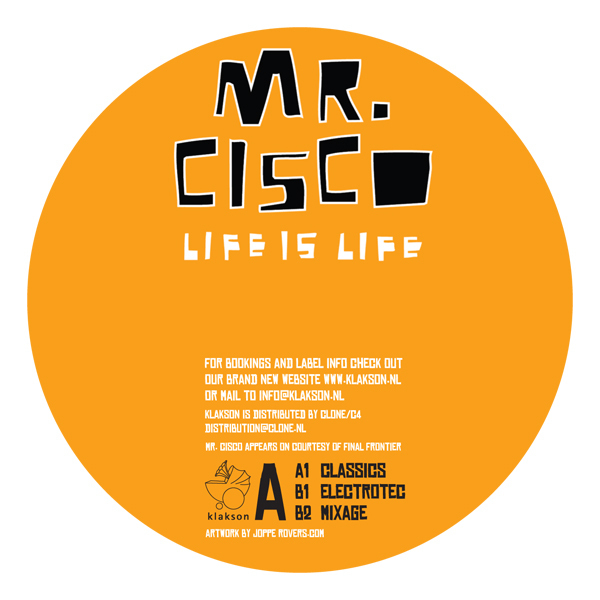 Mr Cisco aka Francisco, known for his collaborations with Mario Pierro for the Jolly Music project, brings us a new three tracker on Dexter’s Klakson imprint. A twelve that’s hard to classify as either Techno, Electro, House or even Disc, combining the groove and flavour from Italo disco and mixing it up with the energy from 90's Chicago and Detroit Techno and House. Check!